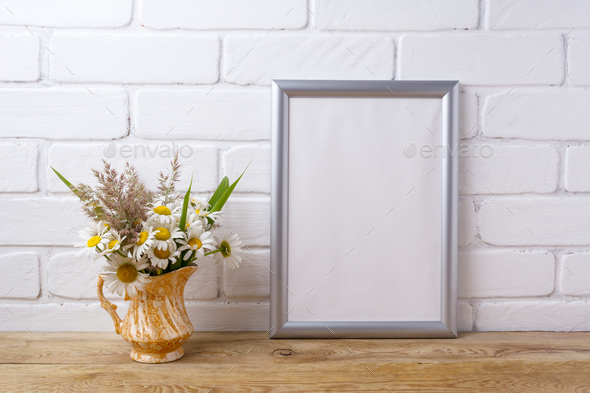 Silver frame mockup with white field chamomile and grass in golden pitcher vase. Empty frame mock up for presentation artwork. Template framing for modern art.